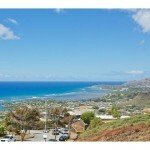 Ala Moana Condos for Sale - Real Estate in Ala Moana | Locations LLC. 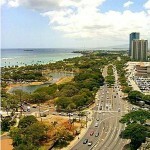 Located on the southeastern side of the island of Oahu in Hawaii, the neighborhood Ala Moana is only minutes away (either walking or driving) from the downtown Honolulu area, making Ala Moana an extremely popular residential choice among young professionals and well to do middle professionals who desire to remain in the city. The area is also popular with young families not yet ready to an expensive single family home due to the availability of green space and proximity to the beach and work. 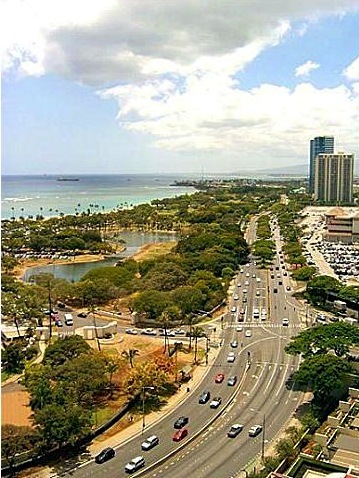 Ala Moana is located between Waikiki to the east and Kakaako and Honolulu Harbor to the west. This neighborhood is directly on the southern shores of the island and features white, sandy beaches. Ala Moana’s civic centers include the Ala Moana Shopping Center, the largest open-air shopping center in the world, and Ala Moana Beach Park. The proximity to both retail centers and the beach are the main attraction to most buyers in Ala Moana. The vast majority of Ala Moana homes are located within condo high-rise developments. There are hardly any single or multi family homes in this area as space is extremely expensive and precious. Although buyers are limited to condo homes, there are luckily a wide variety of condo styles, square footage, bedrooms, amenities, facilities, and budgets. Due to the proximity of downtown Honolulu, the abundance of retail centers, and the new condo developments, convenience and luxury are the key words when describing the Ala Moana neighborhood. Not only do residents have the accessibility of city life, they also have the gorgeous shoreline at their disposal, with vast and magnificent ocean views available from many condo high-rise units. It is possible to buy a modest one bedroom, one bathroom condo for about $300,000. Of course, while the older condo are less expensive, they also come with high maintenance fees? On the flip side, there are relatively brand new condos with expensive price tags but with low maintenance fees. Still, Ala Moana is known for its urban development, and is continually being developed with high-rise condos and more retail centers than ever before. Thus, the district features some of the newest condos on the island.